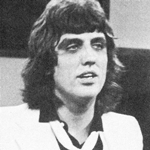 Jon English, singer, songwriter and actor on stage and television, has died following complications while undergoing surgery. The 66-year-old was surrounded by his partner and children at the time of his death. Born in the United Kingdom, English emigrated to Australia with his family in the early 1960s. He’d shown an interest in music from an early age, starting in his first rock band as a teenager. He rose to fame in the early 1970s playing the part of Judas Iscariot in the stage production Jesus Christ Superstar. English continued recording albums and performing on stage while scoring minor acting roles in various TV productions including Number 96, Matlock Police and Homicide. He continued to perform as a guest artist on Countdown and as a panellist on the game show Blankety Blanks. 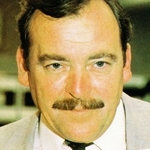 His big TV break came in 1978, playing the lead character of Jonathan Garrett in the historical mini-series Against The Wind. English also worked on the show’s soundtrack and co-composed and sung the series’ theme song, Six Ribbons. 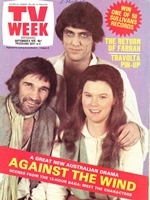 His performance in Against The Wind led to him winning the award for Best New Talent at the TV Week Logie Awards in 1979. 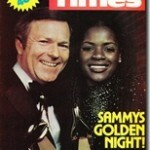 He also won Most Popular Male Performer at the 1980 TV Week Rock Awards. English continued to perform on stage, as a musician and as an actor, including a successful run in musicals The Pirates Of Penzance and The Mikado. Television acting roles were limited largely to guest spots, including Chopper Squad, Bellamy and Sweet And Sour, but he was to again take the lead in the early 1990s sitcom All Together Now, playing the part of faded ’70s rocker Bobby Rivers. The comedy series, which also starred Rebecca Gibney, Steven Jacobs and Jane Hall, ran for three years and sold well overseas. At the time of his death English was in the middle of an Australian tour. He had cancelled his appearance in Newcastle on Sunday due to ill health. He later suffered an aortic aneurysm and passed away on Wednesday evening while in surgery. Details of a public memorial are to be announced. Source: The Age, Wikipedia, IMDB, TV Week. The TV series “All Together Now” also had Garry Who(stage name) in a regular role. Also, for the Against The Wind feature song, “6 Ribbons”, English’s song-writing partner was Mario Milo. Can anyone remember the bald-headed comic who played “Bobby Rivers'(English’s character) in All Together Now? Clue: The character always referred to girls as “Chickie-Babes”. I hadn’t mentioned that character in my post because I couldn’t remember the actor’s name. Another bit of trivia, Kerrie Armstrong appeared in the show later in its run(not sure how many series were made). Cheers!, Thanks! Whatever became of ol’ Bruno? Seems to have vanished, Same with Garry Who and Jane Hall. Steven Jacobs is still active somewhere inside Station GTV-Melbourne. Jane Hall went on to an ongoing role in Neighbours and more recently was doing breakfast radio in Melbourne until the end of 2015. Steve Jacobs is the roaming weather presenter for Today, which is Sydney based. Okay, got what Jane, Steve and Garry got up to but Bruno, he’s been left hanging. What’s he been up to apart from All Together Now and ABC’s “The Late Show? Any ideas? It has not yet been mentioned on this site yet, but yesterday(15/3/2016) I heard on a radio news bulletin of the passing of Johnny Hawker. Hawker started a band in 1961 as “Johnny Hawker’s Big Band” and cut records with the W. & G. label. Sometime during the 1960s the band morphed into “The Johnny Hawker Orchestra”(in 1967 they did an instrumental version of The Easybeats’ Friday On My Mind for EMI) In 1971 Hawker took up the role of musical director for, and his orchestra provided the musical backing for Young Talent Time. Hawker held that position until the end of the 1972 season and was replaced by Geoff Hales in 1973. There were no tributes on ABC or anywhere else that I saw. A sad situation that a significant member of Australia’s musical family could be ignored like this. Vale Johnny Hawker RIP. P.S. in 1968 Johnny, with wife Anne Hawker, cut a successful cover version of the Esther & Abi Ofrarim hit, Cinderella Rockafeller, for the Astor label. Admittedly there is no connection(except the passing of another significant member of Australia’s musical and TV family), but as there was no story on this site yet about Johnny Hawker, to which I could tie my comment, I had to tie to this one. Sorry I had to do it this way, but there was no other avenue. I half expected something on him by now(16/3/2016, 24 hours or so after hearing the news, but there was nothing about his passing here or anywhere else that I could see. 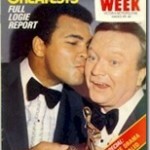 Hence my comment: “A sad situation that a significant member of Australia’s musical family could be ignored like this. Vale Johnny Hawker RIP”. At least someone remembers! I now understand why nothing has been put up about Johnny Hawker’s passing on Tuesday(15/3/2016). It will have been at Anne Hawker’s request, for personal reasons, likely to keep the commemoration private, within the family. To Anne Hawker, my sincerest condolences. May John rest in peace and thank you both for your contributions to Australian popular music and television through the years. Maybe sometime later you may be able to put up a belated tribute to Johnny Hawker, Andrew M. He certainly deserves recognition as he’s contributed a lot to Australian music and TV. In the meantime, leave Anne and the remainder of her family to commemorate him in private.